Our Sports Injury & Musculoskeletal Therapy Clinic is now open! Appointments are available with fully qualified staff in our professional clinic, or with student therapists who are studying on our BSc (Hons) degree in Sport Injury & Treatment and Sports Massage courses. Students will be practising their skills under the supervision of their tutors, offering value for money for members of the public requiring sports therapy. Email Sheena Davis on sxdavis@psc.ac.uk to arrange an appointment. 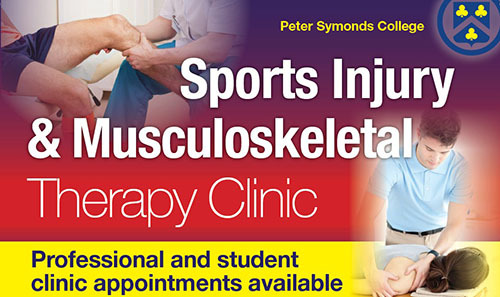 Please make clear when booking whether you would like an appointment in the professional or student clinic. If you are interested in studying our Sports Massage Level 3 or 4 qualification, please email Nicola Glasspool on nicola.glasspool@psc.ac.uk. For further details regarding the Sport Injury & Treatment degree programme, or for an application pack, please email Paula Baker on pbaker@psc.ac.uk.